Home > Resources > Transfer > How to Transfer Contacts from iPhone to iPad? Summary: Have many important contacts on your iPhone and want to switch them to your iPad but do not know how? This is a guide mainly tells you how to transfer contacts from iPhone to iPad with phone numbers, emails addresses and other contacts info in the easiest way. Apple users know that we can send and receive iMessages freely among iOS devices like iPhone and iPad. But here comes another question: can we sync contacts from iPhone to iPad? Well, you can search out many different ways to do so, but if you prefer the easiest method to make it, you have come to the right place. Here we introduce an ideal iPhone to iPad Transfer to transfer contacts from iPhone X/8/7/6S/6/5S/5/4S/4 to iPad Pro/Air/4/3/2. 1. 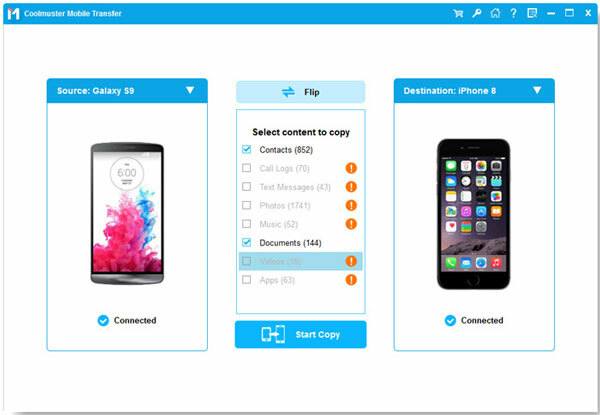 Transfer several types of data between two devices, including contacts, photos, videos, music, notes, app data, calendar and more. 2. 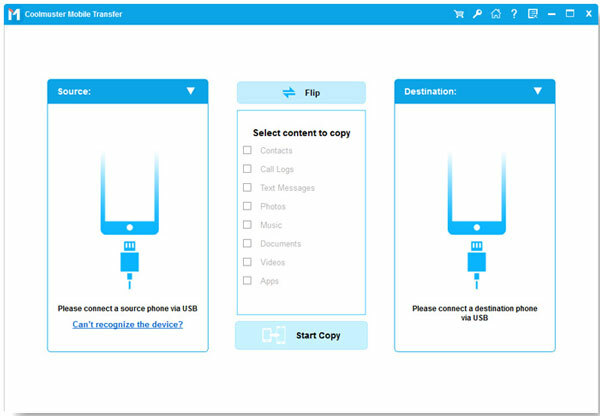 Not only transfers data from iPhone to iPad, but also supports other Android, iOS, Symbian and BlackBerry devices. 3. Also allows you to transfer data between phone and computer. Download the free trial version of the iPhone to iPad Contacts transfer and follow the steps in the below. Launch the transfer tool and connect your iPhone and iPad devices to the computer via two USB cables. Then, click "Phone to Phone Transfer" section from the program interface. The two connected devices are detected by the program and displayed side by side on the interface. Now, you should choose "Contacts" from the file list in the middle if you only need to transfer contacts. Finally, you can click on the "Start Transfer" button to begin the contacts transfer from iPhone to iPad. See, how easy it is to complete the contacts transfer with the help of this phone transfer tool. Now, it's your turn!